Samsung galaxy S6 and galaxy edge are two of the most beautiful smartphones ever created. They are seamless, slim and full glass and metal construction. These two ultra-thin and unique smartphones are made using the finest materials and they are great for both personal and business use. 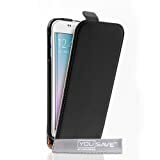 However, to keep your new smartphone scratch free and new looking for as long as possible, you will need to invest in a good wallet case. Wallet cases are professional and they are a great way to keep all your pocket valuables in one place. Some wallet cases only have room for your cards while others can store both cash and cards. Different type of wallet cases for Samsung galaxy S6 and galaxy edge are available in the market today, but whichever you choose, they are a great way to keep your smartphone scratch free and new looking for a long time. If you are looking for a wallet case that is protective and stylish, here are the Top 10 Best Samsung Galaxy S6 & Edge Case Wallets. The ACEABOVE wallet case is only available in black, with a red interior and a red stripe on the exterior as well as a pink version with a white stripe. It has three cards slot as well as a separate money pocket. Its front closure is a snap button. 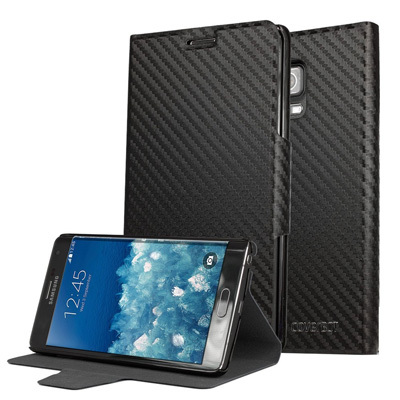 Lightning knight or LK wallet case is a stylish case for S6. It is available in a variety of colors which include blue, purple, black and pink. This case has room for three bank or credit cards and another slot for cash. The rear of this case is designed to transform it to a media stand to allow chatting with friends and watching videos. 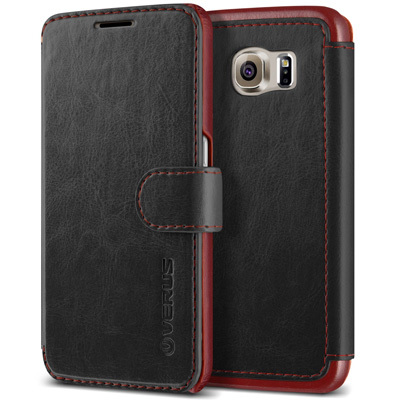 Verus is known to make reliable phone cases and this special edition for Samsung galaxy S6 is no exception. This case is professional and well-polished for both personal and business use. It is available in six different colors and it is made using chamude texture inside to prevent scratches. 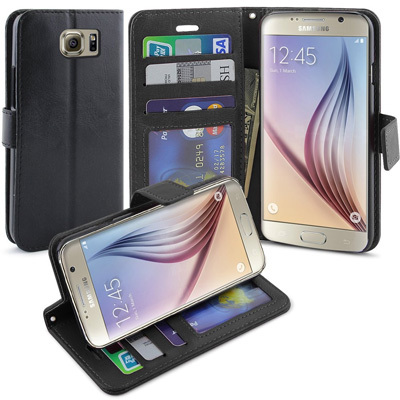 This galaxy edge wallet case has a pocket for carrying your credit or bank cards as well as you cash. It also has an automatic power on/off display that switches on when you open the cover and turns off when you close the cover. 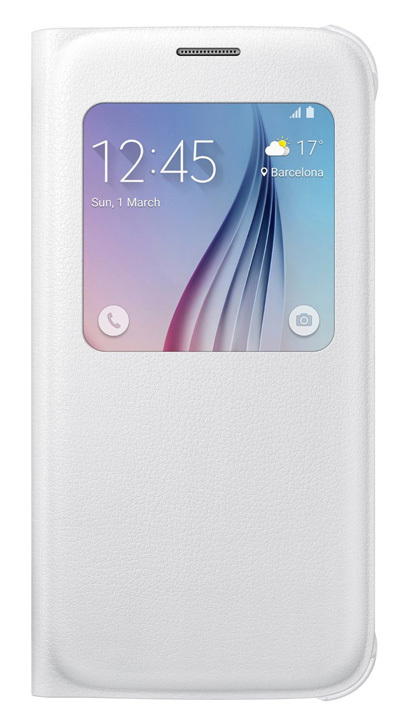 It is specifically designed to provide protection to galaxy edge phones. 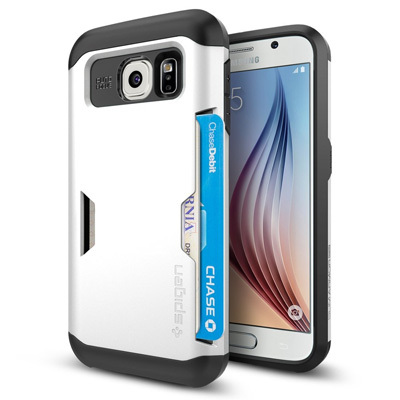 Neither protection nor style is compromised when you use Slim Armor CS for the Galaxy S6. 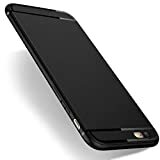 It has an integrated credit card slot than can store up to two cards and a dual layered structure of quality TPU as well as a sturdy polycarbonate to provide absolute security that is reinforces with air cushion technology for drop protection. These features gives your device a distinct character that is smart and sleek. 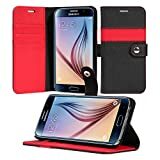 This wallet case for galaxy edge is available in five colors and it can also function as a built in stand for convenient viewing and chatting with friends. Its hard plastic shell that protects the phone from any damage. 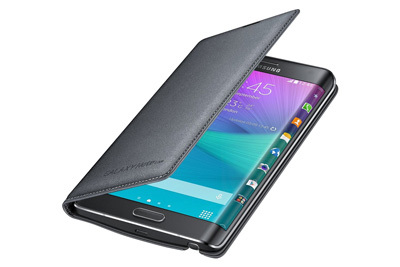 This wallet cover for galaxy edge was developed with style in mind. It is designed to protect the phone as well as allow you to interact with the screen even when the cover is closed. It features different slots for credit card, ID cards and money and it is available in black and white. 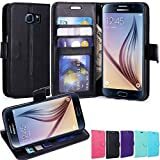 This wallet case provides reliable and durable protection to the Samsung galaxy edge preserving it beautiful look for longer. Its sturdy interior provides a great surface to grip hence reducing the chances of the phone dropping and the damages it would cause. This stylish wallet case for Samsung galaxy edge has cut outs, which provide easy access to the charger port, headphone jack, volume rocker and camera lens. This means that you do not need to remove the case in order to use the functionalities of your phone. With a free micro fiber polishing cloth and a screen protector, this wallet case is one of the best case for Samsung galaxy edge. 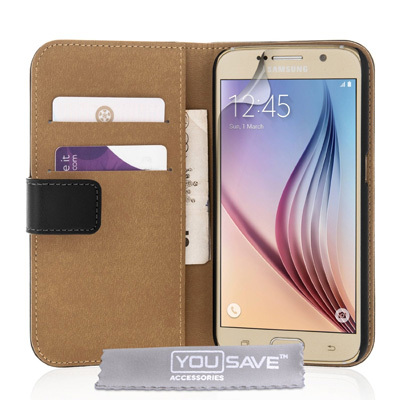 This Samsung galaxy 6 wallet case is lightweight and stylish and it is manufactured using genuine quality leather. 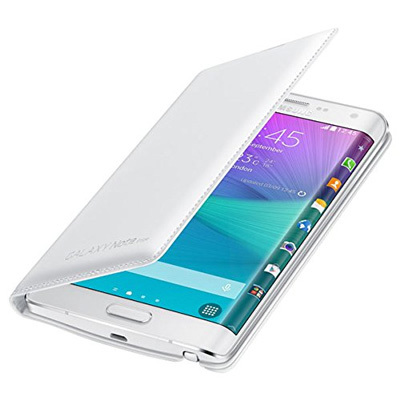 It has multiple storage pockets to securely store your cash as well as credit or bank cards together with your phone. Other additional features include a cut-out ports to allow constant use of the camera and a plastic internal holster to firmly hold the phone in place. Combining these feature, this wallet case is a perfect blend of functionality and fashion which makes it a perfect phone accessory for anyone. 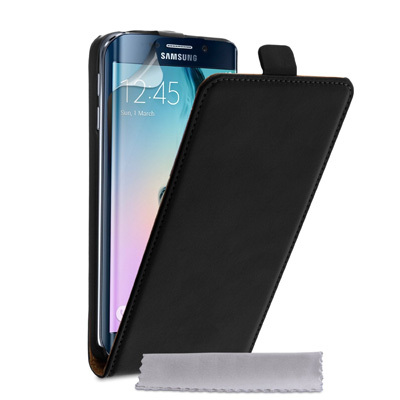 The Samsung S view cover case for Samsung galaxy S6 is made using high quality synthetic leather material and it helps to keep the screen of Samsung galaxy S6 looking as good as new. It has a cut-out that allows you to view your incoming calls, control music, check the weather and much more at a glance through the front cover. 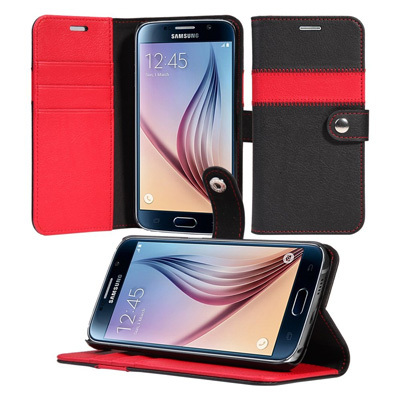 This wallet is designed specifically for samssung galaxy S6, therefore, it offers a perfect fit and does not prevent the use of phone’s functions such as the volume and power buttons, the charging ports, headphones as well as the front and rear camera.